Whilst connected to the Wi-Fi, it's important to recognise that some your devices may be "discoverable" to others in the building, meaning other people might be able to see them on their own devices. Wi-Fi is inherently less secure than a hardwired Ethernet connection due to its broadcast nature. Whilst this is normally perfectly safe for devices that only exchange data to and from the World Wide Web, peripheral devices that utilise the local area Wireless connection to function aren't subject to the same security as traffic leaving the network. 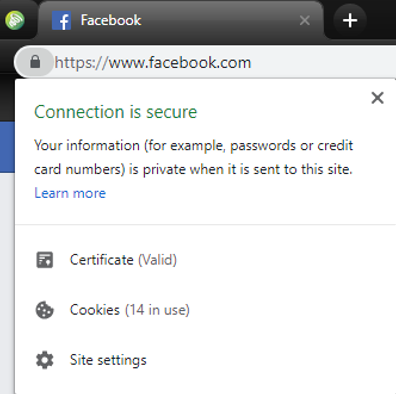 Our network is as secure as you would normally expect from any standard hotspot or public Wi-Fi service: like them, we would encourage customers to use secure pages when accessing or sharing personal or sensitive information, like usernames and passwords, banking sites etc. You'll find the majority of these sites use encryption (SSL) for all authentication services, and personal information is only sent in in this manner. The aspect we at Glide have the most control over for ensuring security is is the Wireless "hop", from your device to our network's Wireless access points. Wireless encryption only takes effect between these layers, after which point that wireless encryption ends, and the SSL traffic encryption takes over. From the client machine to the server responding to the request, SSL encryption protects and secures any data being transferred. 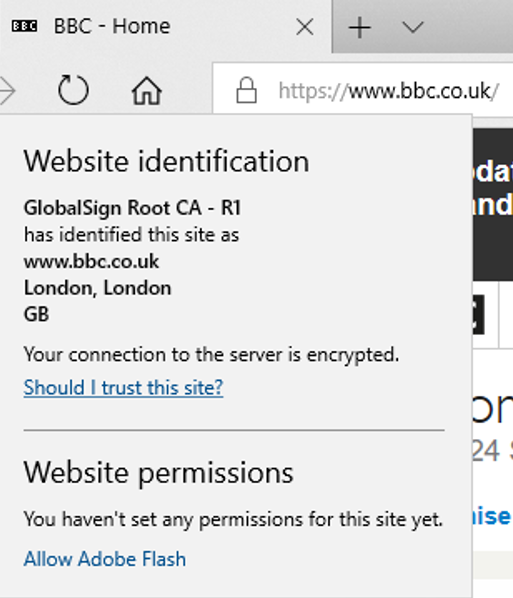 But how to tell if you're using a site that is encrypted? 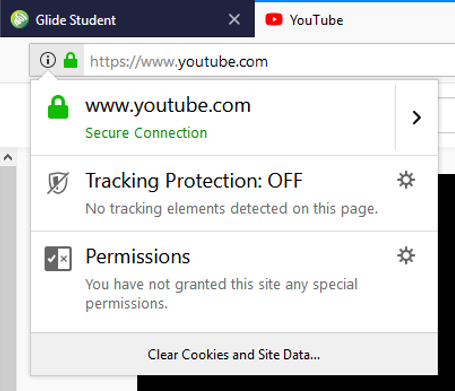 All modern browsers will indicate in or around the address bar that a site is fully encrypted and safe to enter confidential information into. If it doesn't, that doesn't necessarily mean the site isn't safe - but you should take a little more care, and be absolutely sure that the site is legitimate. When you're at home, it's reasonable to expect that everybody in the house is going to want to be able to use and share any wireless peripheral devices, like Wireless printers and audiovisual devices like Sonos speakers or Chromecast and Apple TV. With this in mind, manufacturers try to make it easy for people to connect to and use them, with as little hassle as possible. If your apartment has a specific SSID and Wi-Fi PSK given to you when you moved in, this does not apply. If you are currently staying at Chapter London - White City, we are trialling a system known as Client Isolation. The above risks are mitigated as part of this system. It is at your own risk that you connect these devices. We cannot account for the actions of others on the wireless network, malicious or otherwise. Click the Apple icon > Select System Preferences > Select Sharing > Make sure that all the tick boxes on the left are unticked, including Bluetooth and File sharing. Go to Settings > Select AirPlay > Select Set Password. Where possible, use a device's Infra-red remote control or Bluetooth controls instead of the relevant smartphone Wi-Fi app. Google Chromecast and Sonos speakers do not allow for a password to be set, so we recommend you disconnect them from the Wi-Fi or switch them off when not in use. If you own a Wireless printer, we recommend you connect it to your PC with a USB cable in order to keep others from being able to print from it. Your printer may include a technology called Wi-Fi Direct, which allows you to connect your laptop by broadcasting a dedicated wireless network from the printer. If you choose to use this, you should disable it whenever it is not in use as it will interfere with our broadcast wireless network, and may inconvenience other users in the area. Open the Google Home app > In the top right corner of the Home screen, tap Devices to see available Chromecast devices > Scroll to find the device card for the Chromecast or Google Home you'd like stop sending cast notifications > Select the device card menu (3 dots) > Under Device info turn off "Let others control your casted media". Open the Google Home app > Tap Devices to see your available Chromecast devices > In the top right corner of the device on which you'd like disable guest mode, tap the device card menu (3 dots) > Under the Guest Mode section, tap the slider to turn off Guest mode. If you can, you should set a password on as many wireless connections or wireless sharing features as possible, to deter anybody trying to exploit these devices' ease of use. Any device that is not a PC or smartphone must be associated to your account in order to connect to the internet. As technology develops, we are committed to continually working with our technology partners and evaluating our network practices in order to provide the best user experience possible. The safety and security of our active users is paramount to us, and any changes to our security policies in future would only take place if this integrity can be maintained.